All of the described caches are utilizing the Pimcore\Cache interface to store their objects. Pimcore\Cache utilizes a Pimcore\Cache\Core\CoreHandlerInterface to apply Pimcore's caching logic on top of a PSR-6 cache implementation which needs to implement cache tagging. By default, Pimcore ships with default cache pools (backends) for Doctrine and Redis, but you can implement custom cache pools by implementing Pimcore\Cache\Pool\PimcoreCacheItemPoolInterface. See Custom Cache Pools for details. By default, the cache will reuse the Doctrine connection and write to your DB's cache and cache_tags tables. You can override the used connection by setting connection setting to a known Doctrine connection (see DoctrineBundle Reference for further information). If you enable the redis cache configuration, the Redis cache will be used instead of the Doctrine one, even if Doctrine is enabled as well. If you want to use a custom cache pool, ignore the pools section (or disable both predefined pools) and set the pool_service_id entry to the service ID of your custom pool (needs to be defined as service on the service container). 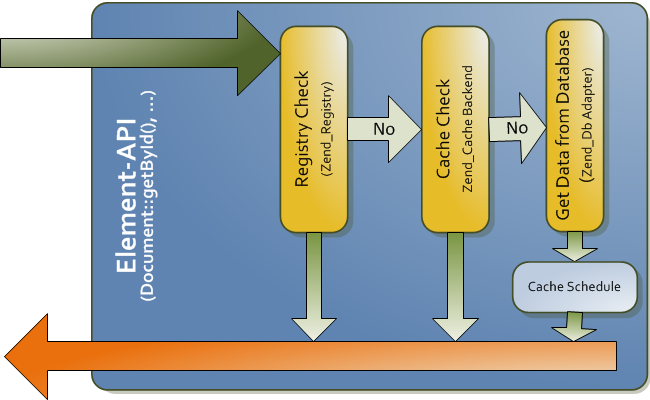 There are a couple of cache pools predefined in cache.yml but those (array, filesystem) are mainly used for testing. If all of the predefined cache pools are disabled, the cache will fall back to a filesystem cache which is rather slow. # IMPORTANT! Other policies will cause random inconsistencies of your data! With the default settings, the minimum supported Redis version is 3.0. Please note that the Redis adapter currently doesn't properly support Redis Cluster setups. Use the Pimcore\Cache facade to interact with the core cache or directly use the pimcore.cache.core.handler service. If you don't need the transactional tagging functionality as used in the core you're free to use a custom cache system as provided by Symfony but be aware that custom caches are not integrated with Pimcore's cache clearing functionality. Setup a custom caching-backend - see Custom Cache Pools.